Positive and uplifting, this book celebrates all the love in the world. With photographs taken all around the world it is a quirky take on love hearts. Where ever you are in the world the love heart is there. 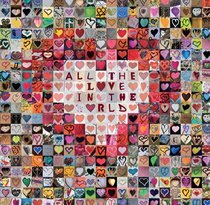 About "All the Love in the World"
Jesse Hunter is a Melbourne based photographer whose first book was All the Love in the World.